As we approach the end of 2018, we’ve turned to our naming crystal ball to predict the baby names that will be most popular next year. 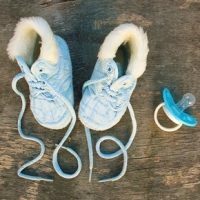 Using The Office for National Statistics’ most recent report, alongside growing trends like our current obsession with the Royals, we’ve rounded up the top 10 baby boy names for 2019! Albie is a name that’s been steadily growing in popularity – having risen a whopping 343 places in the last 10 years – and 2019 looks set to see lots more little boys with the name. A modern twist on the more traditional Albert, it combines the increasing interest in Royal names with the trend for using what were formerly nicknames as names in their own right. Another name showcasing the Royal-themed trend, after jumping 11 places, Arthur has now joined its less-formal derivative Archie in the top 20. The meaning behind the name is debated but is thought to be either “bear” or “stone”. Entering the top 100 most popular boys’ names for the first time last year at number 78, Hunter demonstrates the growing name trend of surnames being used as first names. Originally used as a family name for professional hunters (and literally meaning ‘“someone who hunts”), it’s already a favourite name for girls in the US and looks set to explode in popularity for boys here in the UK next year. Up 12 places in the ONS rankings on last year, Jude – meaning “praise” – has been growing in popularity for the last couple of years. With it finally breaking the top 50, expect to see a lot more baby Judes in 2019. Leo replaced Thomas in the top 10 names for boys (ranking 7th), showing a spike in popularity. Meaning “Lion” and also a zodiac sign with the element of fire, it’s a strong name that works particularly well for babies born between July 23rd and August 22nd. A very popular name in the States, this biblical name (strongly associated with Noah’s ark) has been gradually climbing up the top 10 baby boy names in the UK – and could finally rival the current top 3 names (Oliver, Harry and George) in 2019. Joining Leo and Noah in the top 10 boy names, Oscar is another traditional name you can expect to hear even more of next year. Meaning “divine spear” it’s the perfect name for little boys with strong characters. Having last appeared in the top 100 boys’ names way back in 1944, Ralph is having a resurgence in popularity – having bumped out the name Jasper to rank 98th last year. Currently thought of as a fairly sophisticated – and perhaps ‘adult’ name – expect to hear of more “baby ralphs” in 2019. What do you think of our roundup? Get in touch on Facebook with more suggestions or browse our extensive list of names here. Or, if you’re looking for more baby name inspiration, use our baby names generator. Have you thought about Virginia Woolf for a girl name?